At the time, Mayor Michael R. Bloomberg understood that government’s response to the crisis needed to be about more than addressing what made financial institutions falter, it also needed to be about boosting the financial security of individuals and families. That’s why, in 2008, the City created the Financial Empowerment Center (FEC) model to help New Yorkers with low incomes manage their money, pay down debt and increase their savings, build their credit and open bank accounts – helping individuals, families, neighborhoods and the city itself become more financially stable. It’s also why, in 2013 and with the support of Bloomberg Philanthropies, this FEC model was replicated in five other cities—Denver, CO; Lansing, MI; Nashville, TN; Philadelphia, PA; and San Antonio, TX. And it’s why today, Bloomberg Philanthropies and the Cities for Financial Empowerment Fund are announcing plans to replicate this FEC model in an additional 12 American cities. The first Financial Empowerment Center was launched in 2008 in the Bronx, after a city study found that residents there spent an estimated $19 million a year in check cashing fees and over half had never gotten financial advice from anyone. Two early clients, a firefighter and his wife, were falling behind on utility bills and in arrears on their mortgage. They applied for mortgage assistance, but were denied because they had no savings. Through financial counseling, they began to pay off credit cards and save, and soon had enough savings to qualify for their mortgage loan. Beyond that individual success, the NYC FEC continued to grow through private philanthropy, and then public city funds. 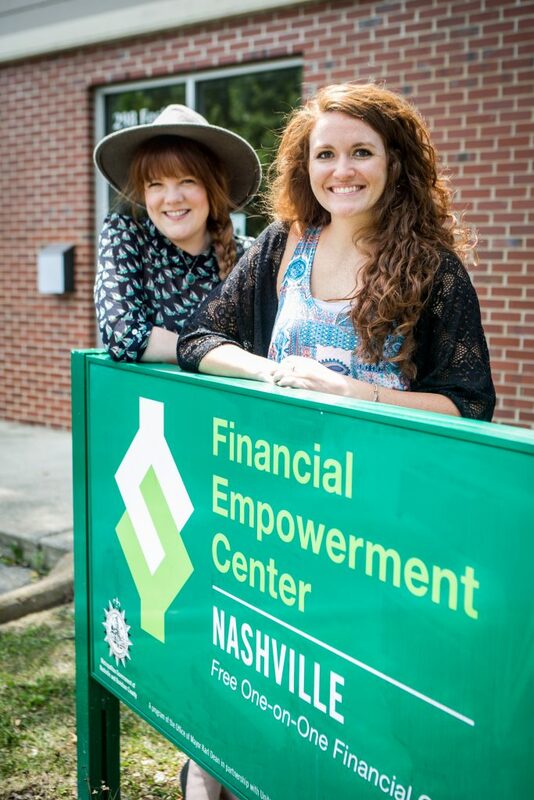 By 2013, the Centers had expanded across the city and had served 25,000 clients, helping them to reduce their debt by $14.7 million and build $2.4 million in savings. In the nine years since, the FEC model has resulted in similar success across the country. The Lansing FEC helped a homeless veteran work to reduce his child support debt; a client in Nashville was able to achieve her dream of home ownership by cleaning up her credit report and prioritizing saving; the Denver FEC helped a client avoid bankruptcy and start repayments on three payday loans; a homeless Philadelphia FEC client began saving to visit his children, who he hadn’t seen in 20 years; and San Antonio’s FEC helped a domestic abuse survivor achieve financial independence and move into her own apartment. Across these five cities, counselors have helped 34,000 clients like these, who have collectively reduced their debt by $40 million and increased their savings by $5 million. As part of its American Cities Initiative—Michael Bloomberg’s recently announced commitment to further empower U.S. cities—Bloomberg Philanthropies is now committing $7.75 million to launch the FEC Public platform, which will scale this model to 50 local governments, with the goal of making free financial counseling as a public service available across the country. Twelve local governments have been selected for FEC Public’s first cohort: Akron, OH; Detroit, MI; Greenville County, SC; Houston, TX; Memphis, TN; Miami, FL; New Haven, CT; Pittsburgh, PA; Sacramento, CA; San Francisco, CA; Shreveport, LA; and Syracuse, NY. These local governments will build on the strong foundation that New York and the first five replication cities created, bringing free financial counseling to their own residents. FEC Public partners will receive funding and assistance to plan for launching a FEC initiative in their city, and then can apply for additional funds to launch their local program. The Cities for Financial Empowerment Fund also will convene a national learning community so that local governments can learn along with and from each other. Financial stability is complicated, and it matters. The exciting part of this work is turning these individual wins – the homeless veteran who reduces his debt, the domestic violence survivor who moves into her own apartment – into a movement, and making financial counseling available to more and more people across the country. Local leaders know that the success and stability of their city depends on the stability of the people who live there – and now they have another way to help them get there.